A 17-year-old from Turloughmore will proudly represent Galway in the under 21 conventional ploughing class at the National Ploughing Championships. The Ploughing Championships take place in Tullamore, County Offaly, on September 20, 21, and 22. Michael Burke is currently the youngest competitor representing Galway. He has won many titles around Connacht, and has been ploughing since he could reach the steering wheel. His first tractor was a vintage 1958 Massey Ferguson 35 TVO coupled to a Ransome TS59 plough. However, he has upgraded this year to a very modern New Holland TL70, which has undergone a full re-spray and is accompanied by a Kverneland Heidrein match plough. 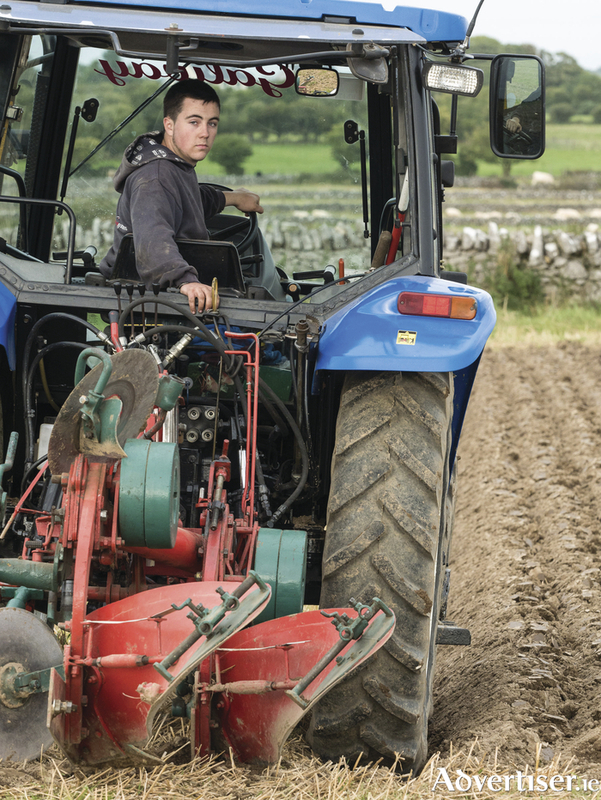 Despite Ireland having a deep tradition when it comes to ploughing, there are very few young people competing. However this young Galway man will be flying the flag for the county next week and he modestly says that all he can hope for is to ‘plough the best furrows I can’. Page generated in 0.1911 seconds.